I can’t use the new version because there is not table of contents. Lots of huge pictures to wade through that ARE NOT acceptable. Most people have covered the basics so I’ll share my gripes. 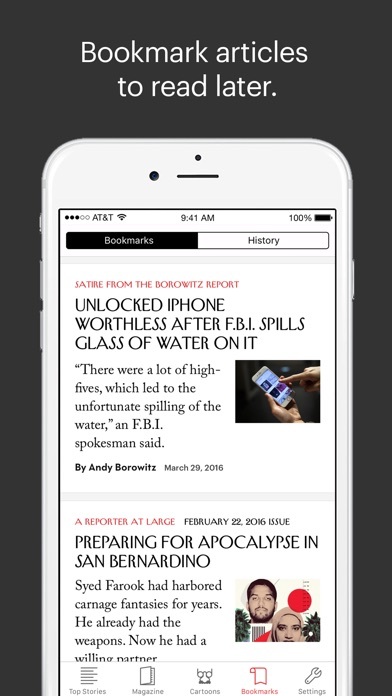 Overall this app makes for a much worse experience than reading articles in a web browser. Audm integration is awful and easier to use from Safari (especially e.g while driving or walking around on a cold day). And I agree with what everyone else has said here too: I don’t want access to the other articles on audm; I’ve chosen to subscribe to the New Yorker. Bookmarking is a nightmare. The crossword, which is usually well crafted and interesting, opens in a browser (wasting screen real estate) even from the links within the app. The depth and quality of The New Yorker is unbelievable. This app allows access to all of that content. Yay. 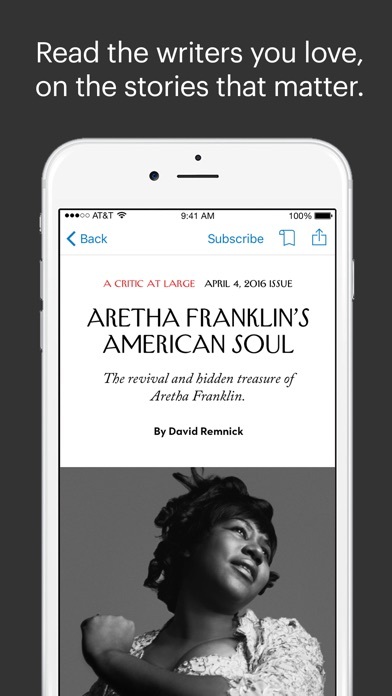 However the app is missing a few features that could greatly improve the reading experience: 1. Dark Mode. This one is must have, especially for reading long articles at night. Or at any time. 2. Skip forward/back for audm audio. 10s skip controls would be great. 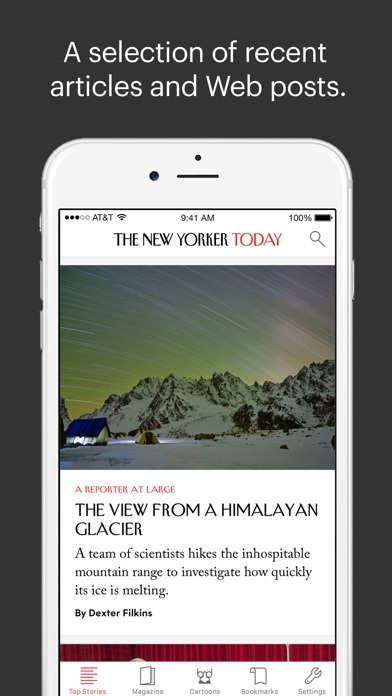 Even better would be a separate interface for audm stories, similar to the New York Times podcast tab. 3. Ability to download whole issues offline. 4. Ad-free option. I would gladly pay extra for ad-free reviewing (although honestly as a paying subscriber the fact that it isn’t ad free is atrocious). Also, remove all tracking scripts from the app. Protect user privacy. 5. 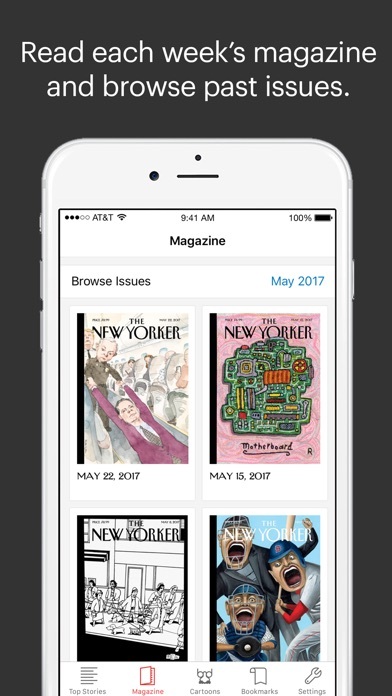 Ability to view and manage subscription in the app. 6. Dark mode. 7. Dark mode. 8. Dark mode! 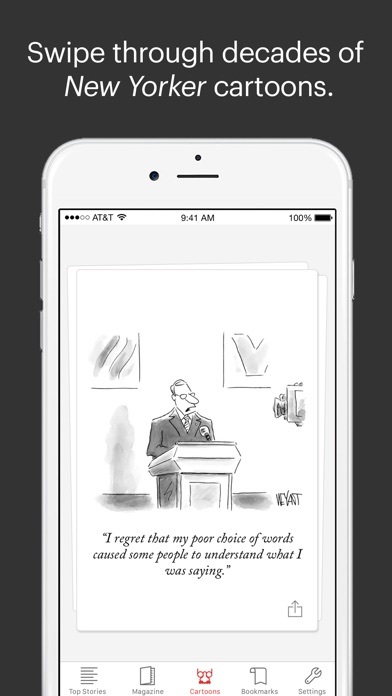 I love the New Yorker and I love this app and wish that other magazine publishers would offer the same format. Since they don’t, this is the only one I use. I’ve only used it on the iPad and can’t speak for how it functions on the iPhone. The app has functioned well, no freezes, crashes or other annoyances. But the thing I love most is the simplicity of the offerings. I get the full print magazine, which others read, while I read the longer reads on my computer, usually over the weekend. What I want to read on the iPad are the shorter daily articles that are not part of the what the magazine has published, nor do I want to wade through them looking for the web only stuff. This app is perfect! Thank you, New Yorker. This app is a winner! Why do you show ads to subscribers? I am paid up in full for $149 a year yet this app continues to ask me to “subscribe” even after I am signed in with my normal username and password. Calls to customer service have not resolved this. I paid for a trial online subscription. Since then I get emails from the New Yorker purporting to provide stories and other features. But every single time they say I’ve read all my free articles and now I have to pay and if I want to subscribe that would be great or, hey, if I’m already a member I can sign in. So I sign in. I can’t count the number of times I’ve signed in, and checked the block that says keep me signed in. It makes no goddamn difference. The site continues to treat me like an interloper who has no business reading the articles. I am extremely sorry I sent them money, and if I can figure out how to contact them I’m going to ask for it back.